Historic companies all face the same difficult task at some point in their lifetime, how to modernise without losing the essence of their founder. One way of adapting to the changing market is to keep a classic back catalogue while introducing new products, that way you cater for your traditional customer but also reach out to a new generation. The latest company to face the challenge is Bronnley, whose one hundred and thirty two year history is a testament to family ownership and hard work. Zealous Flower couldn't be more different to a tradition of triple-milled soaps, but a link with the past is very evident. 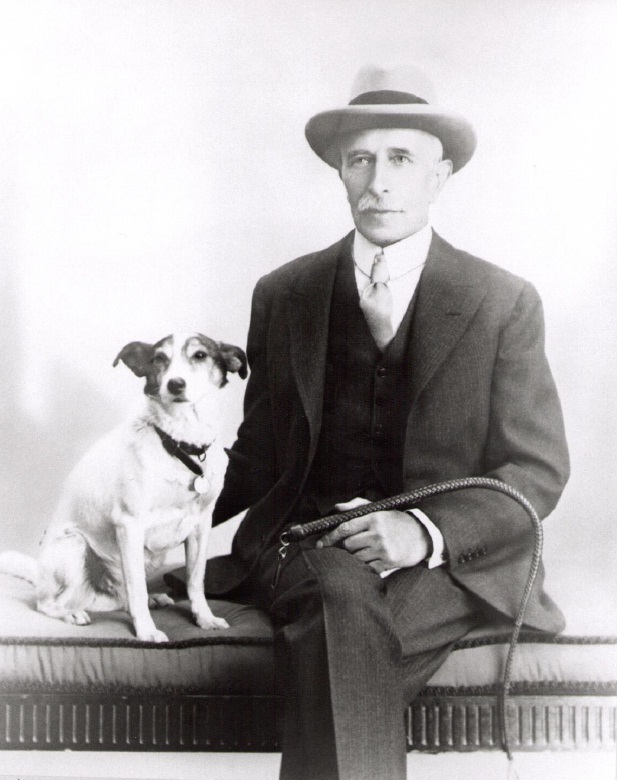 When James Bronnley started his company back in 1884 no one could ever have imagined that it would go on to become a worldwide success and hold two Royal Warrants from King George VI and later Queen Elizabeth II. Humble beginnings in a London "shed" at 34 Verulam Street, Holborn hid the fact that James had actually spent the previous year in Paris studying perfumery and soap making. His dream was to create "quality" products in Britain, and so home he came to start a family legacy that would last through three generations. Success brought with it a move to Acton via Islington in 1904, a location that would see them through two World Wars, before a major fire in 1947 meant another move, this time to the town of Brackley in Northamptonshire where they remained until 2012. 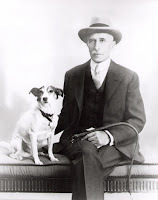 When James Bronnley died in 1938 control of the company passed to his daughter, Gladys Rossiter, who steered Bronnley for many years before, coincidentally, her daughter took the reigns. Ann Rossiter had originally joined the family firm in 1966, and it would be under her guidance that the original decision was taken for the brand to be reinvigorated. Ann retired in 2007 and the company finally left family control but unfortunately the new owners let it slip into administration in 2011. It was finally rescued by the Jatania family with the help of Geoff Percy, and with new premises in Milton Keynes it’s very important to them that it succeeds. So with that in mind let’s take a look at the latest offering from Bronnley. When Bronnley launched their Eclectic Elements collection in 2015 it was an exciting departure. Best known for taking florals and fruits as their inspiration, this time they were “inspired by the elements of earth, water, air, fire and aether”. Each of these are playfully challenging, and I think the best way to describe them would be Guerlain’s Aqua Allegoria on steroids. Zealous Flower, which launched in February 2016, is the culmination and brings together aspects of each of the original five scents into one fragrance. What this cleverly means is that any one of them can be layered on top of it. 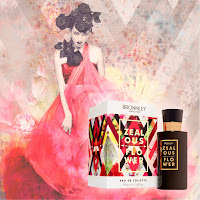 Zealous Flower opens with a smooth jasmine and citrus blend along with rich smokey amber notes. There is a milkiness to the fragrance which almost hints at soapiness, particularly apt for Bronnley, but it is wonderfully sensual. It’s a strange progression with Zealous Flower because aromas keep appearing and disappearing which makes the scent exciting. A peppery incense seems to sit right in the middle of everything and is joined by a plummy rose when your back is turned. The final development though is when a brushed vetiver suede creeps in unexpectedly. The collection is strongly marketed at women, but that shouldn’t deter the men. 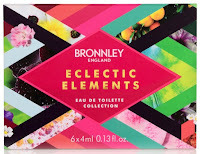 My advice is to buy the £25 Eclectic Elements sample set and try all six fragrances, because I have had a wonderful two weeks in their company.